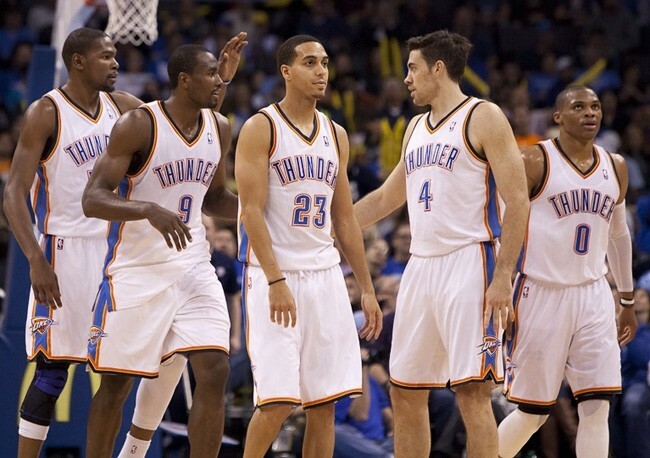 For the first time in nearly 2 months, the Oklahoma City Thunder could trot out a completely healthy roster. Now, the words “completely healthy” can be debated as Thabo Sefolosha and Kendrick Perkins are still working their ways back from injury. 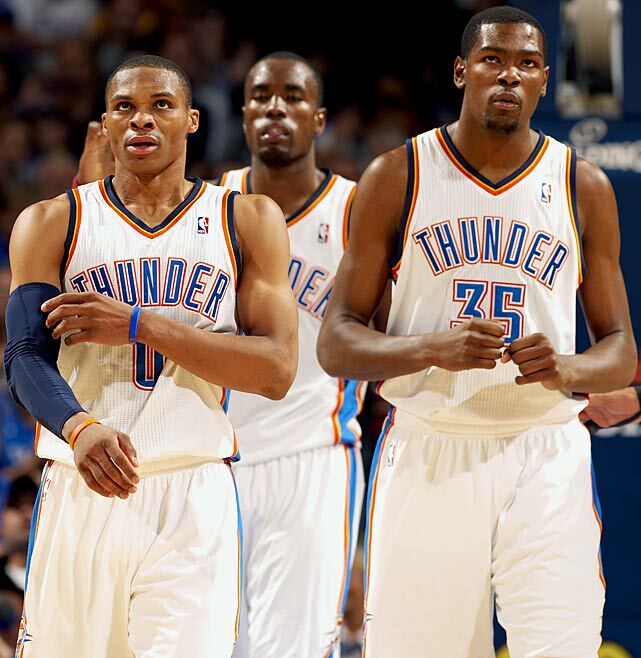 But the fact still remains that this will be the first time since February 20th, that the Thunder will have the ability to put out the same starting line-up that we’ve all grown accustomed to in the last 3.5 seasons. Since February 20th, the Thunder have suffered from bouts of inconsistency and complacency, especially on the defensive end. With their two defensive stalwarts out and Russell Westbrook being held out in one of the two games on back to backs, the Thunder have had a difficulty time carving out any sort of rhythm. 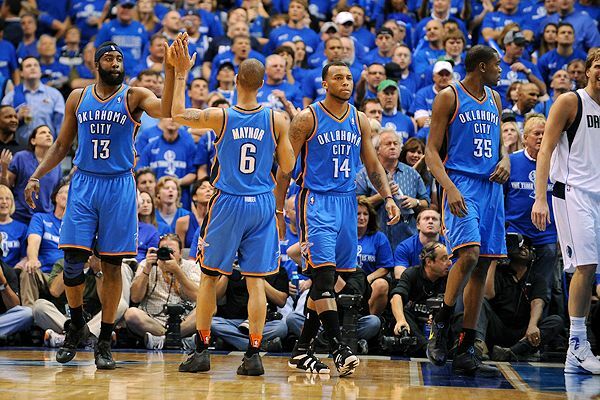 But now, hopefully, the Thunder are getting healthy when they need it the most. This will be the fourth and final meeting of the year between these two teams. 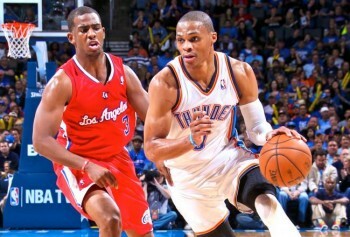 The Clippers lead the season series 2-1 and are 1.5 games behind the Thunder for 2nd place in the Western Conference. 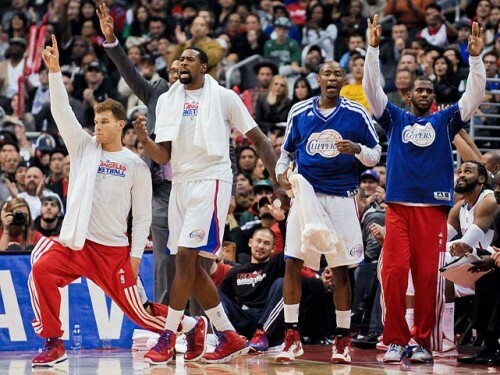 The Clippers are currently sit at 55-23. They are an offensive juggernaut, averaging 107.8 points per game, which is No. 1 in the league. Their attack is led by PG Chris Paul, who in his 9th season, leads the league in assists (10.8) and steals (2.5) per game, while also averaging 19 points. 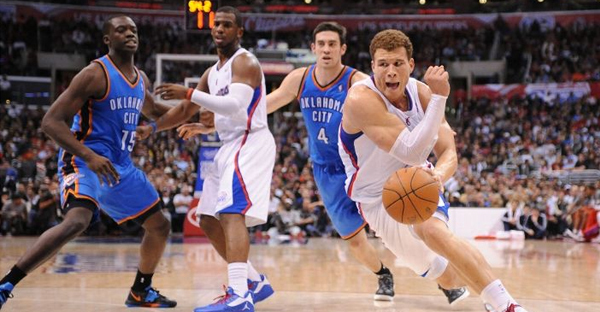 Blake Griffin has taken that next step and is now a bonafide MVP candidate. His game has become more diverse (better mid-range shooter, better play-making skills) and his free-throw shooting has improved. When defenses converge on either of these two players, they have a cornucopia of shooters around them to make the defense pay. Jamal Crawford, JJ Redick, Darren Collison, Matt Barnes, Danny Granger, Willie Green, and Jared Dudley are all shooting over 34% from 3-point territory. 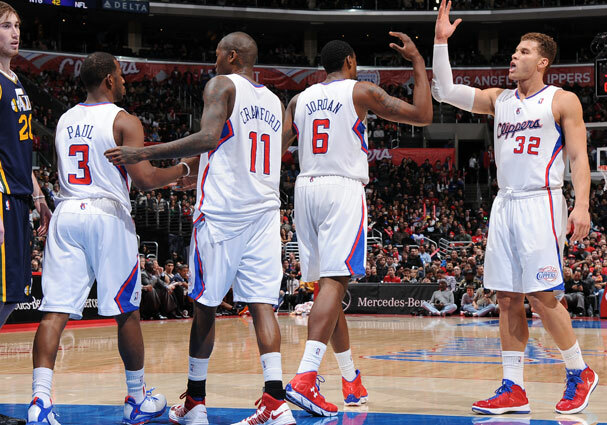 On the inside, DeAndre Jordan has been a defensive monster, averaging 13.8 rebounds and 2.4 blocks per game. * It’s been a while since I wrote that starting line-up down. 1. Perimeter Defense – As mentioned in the “The Opponent” section, the Clippers have 8 players that shoot over 34.1% from the arc. Luckily, Crawford and Granger, appear to be out for the rest of the regular season. In the last game these two teams played, Crawford and Barnes torched the Thunder for 60 points on 11-18 shooting from 3-point land. With a full compliment of players, look for the Thunder to stay more on the shooters and hope that whoever is guarding Paul (be it Westbrook, Sefolosha, or Reggie Jackson) can stay in front of him most of the night. 2. Attack – Of the top five teams in the league (San Antonio, Miami, LAC, OKC, and Indiana), the Clippers are the worst defensively. They allow 100.7 points per game (14th in the league) and struggle defending the paint when Jordan is not in the game. 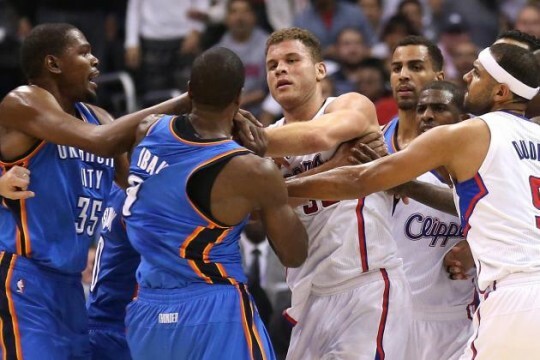 While head coach Doc Rivers has made the team better defensively, they were still average, at best, to begin with. 3. Playoff Atmosphere – You smell that? It sure does smell like the playoffs. I have a feeling this game will be completely primed. I put the O/U on technicals being called at 5…..and I’m taking the over. This will probably be the last big game of the season for each team. With so much riding on it, I expect nothing less than a playoff atmosphere-type environment. April 19th cannot get here soon enough. 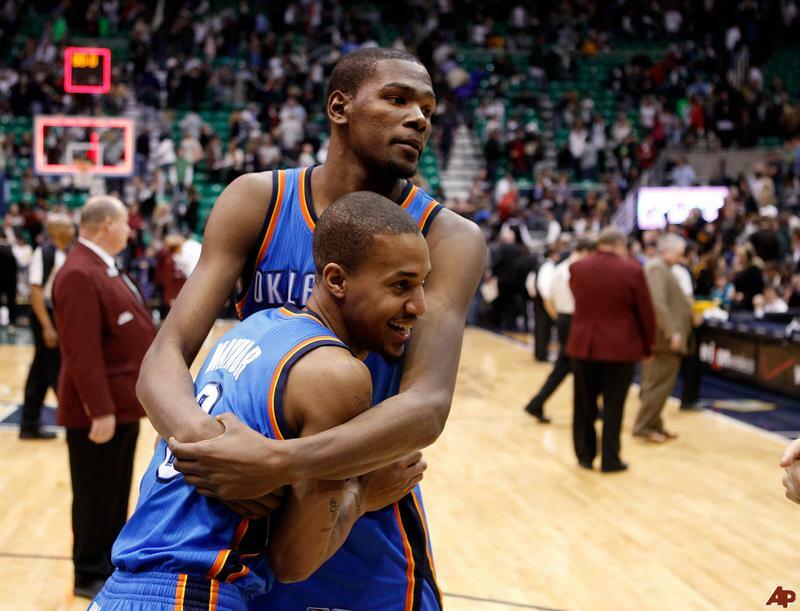 With Eric Maynor’s DNP-CD on Wednesday night, in a blowout of the Denver Nuggets, it was quite apparent that his run with the Oklahoma City Thunder is over. Ten months after suffering a torn right ACL, Maynor’s athleticism and confidence seemed to be wavering to the point that 2nd year guard Reggie Jackson took over sole possession of the back-up point guard duties on the team 25 games into the season. While Maynor’s numbers were never that impressive, his command of the 2nd unit (and sometimes, the 1st unit) showed he had the potential to run his own team. 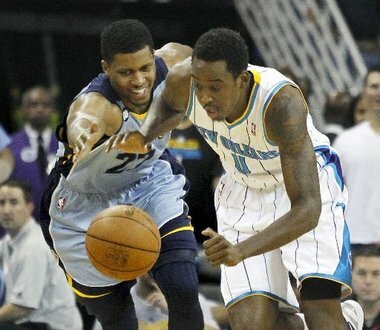 Back about two years ago, Maynor was being hailed at the best back-up point guard in the league. 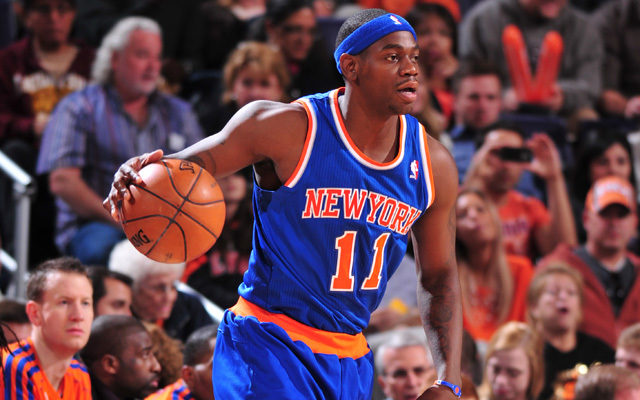 He led one of the best benches in the league, along with James Harden and Nick Collison. In hindsight, though, it seems that a lot of Maynor’s success was due in large part to James Harden. 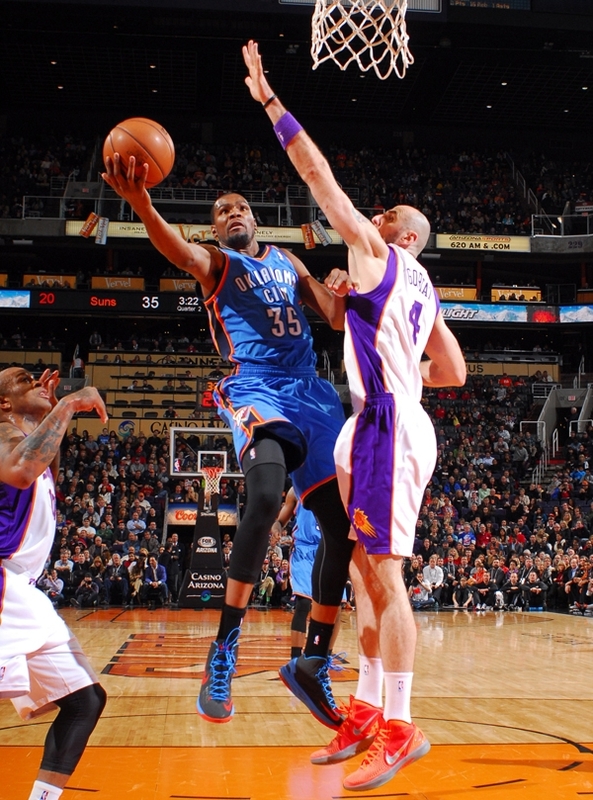 The former Thunder guard is now the 4th leading scorer in the NBA, with a 26.3 points per game average. The skills that he is currently exhibiting now as a Houston Rocket, were on full display during his first 3 seasons in the league, the last of which culminated with the NBA’s 6th Man of the Year award. Maynor’s game was never dependent on athleticism. He was a prober that constantly tried to find the open man or an open lane, and rarely turned the ball over. After the knee injury, though, what little athleticism Maynor did have was sapped, as was his confidence. 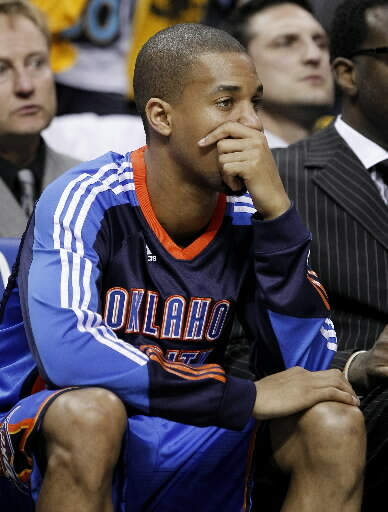 Maynor began to drive less and shoot more, leading to career lows in FG% (30%) and assists per game (2.1). Though he was never touted for his defense, that part of Maynor’s game suffered greatly after the injury. He was constantly getting beat off the dribble, which led to either leads dwindling or deficits increasing. 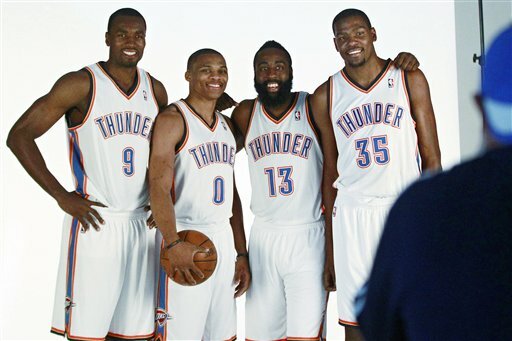 After 24 games, the Thunder decided to try Reggie Jackson as their primary back-up point guard. Though not the floor general that Maynor is, Jackson’s athleticism and physical tools lend him to be a better defender and more of a driving threat on offense. Being that Maynor is a free agent after this season, the Thunder would still like to get some value for him before the trading deadline. Maynor can still play the game, and maybe a change of scenery will help get his confidence back. Maynor’s value may not be that high, but the Thunder can package him with any number of assets to get a necessary piece to their championship puzzle. The Thunder are loaded with picks (Toronto’s top 3 protected, Dallas’s top 20 protected, and Charlotte’s 2013 2nd rounder) and young talent (Jeremy Lamb, Perry Jones III, DeAndre Liggins, and Daniel Orton) that would be very attractive in a deal. I, for one, am not in favor of dealing Lamb, Jones, or Liggins. With the current cost of the top half of the roster, the Thunder will need good, cheap talent to stay in championship contention. That would leave Maynor and Orton, plus the picks, as the only tradable assets I see on the roster. Being that the only feasible need I see for the Thunder is another bench scorer, hopefully a 3/4 tweener, I’ve decided to become armchair GM for the day, and see what moves I can come up with. 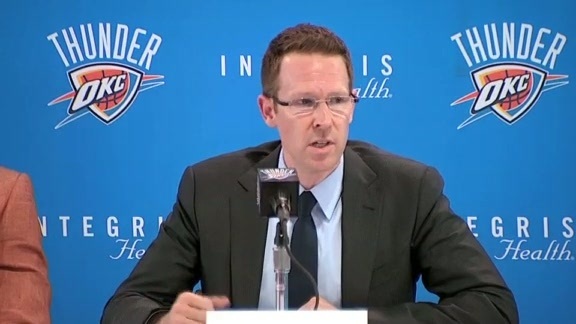 Move over Sam Presti, my shine is too bright for the both of us. Disclaimer: All moves have been approved on ESPN’s NBA Trade Machine. Any move involving Daniel Orton would need to get done after January 31st. 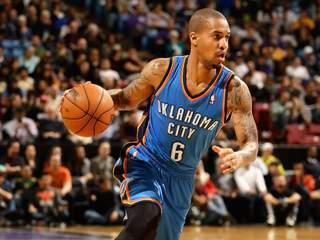 Houston get Eric Maynor and the Thunder’s 2014 2nd rounder. Oklahoma City gets Royce White and the rights to either Sergio Llull or Furkan Aldemir. Why Houston makes the deal – Houston is loaded with PnR-reliant guards in Jeremy Lin, James Harden, and Toney Douglas. If a defense knows how to defend the PnR effectively, it cuts off the Rocket’s first plan of attack. Having a traditional point guard would be a change of pace for the Rockets and will allow them to exploit other facets of their offense, such as Omer Asik’s post game and Chandler Parson’s 3 point shooting. Also, Houston gets rid of a headache in White. The verbal/social media sparring that has gone on between White and the Rockets is well documented concerning his mental health. Why Oklahoma City makes the deal – While this eschews the notion of obtaining a bench scorer now, having the rights to either Llull or Aldemir would be a steal. Llull is the premier combo guard in Euroleague and would fit immediately into the Thunder’s rotation. 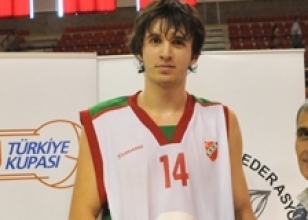 Aldemir is great on the boards and would really help the Thunder in the post. 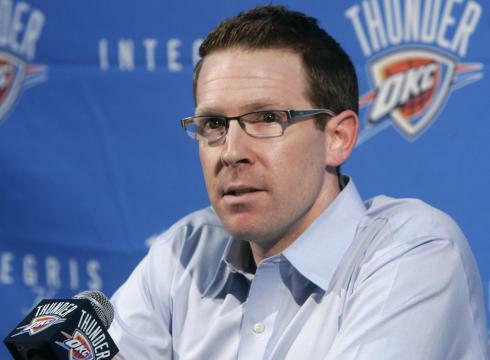 Presti would probably tell White to stay at home and would negotiate a buy-out with his agent. Milwaukee gets Eric Maynor, Daniel Orton, and the Mavericks top 20 protected pick. 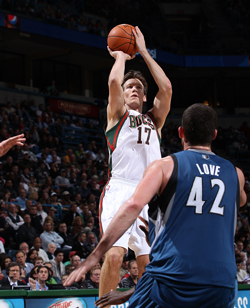 Why Milwaukee makes the deal – Milwaukee will be in a state of flux after the season. Their top two point guards, Brandon Jennings and Beno Udrih, are both free agents, though Jennings is restricted. The Bucks have been on record as saying they will retain Brandon Jennings, no matter what. A large enough extension would make retaining Udrih, currently making $7.8 million, nearly impossible. A cheap replacement like Maynor, who would sign for far less, would be more feasible. They could test drive Orton for half a season as all of their true centers are also free agents at the end of the season. The draft pick is just a sweetner. Why Oklahoma City makes the deal – Mike Dunleavy would immediately have an impact on the 2nd team as a scorer and shooter. 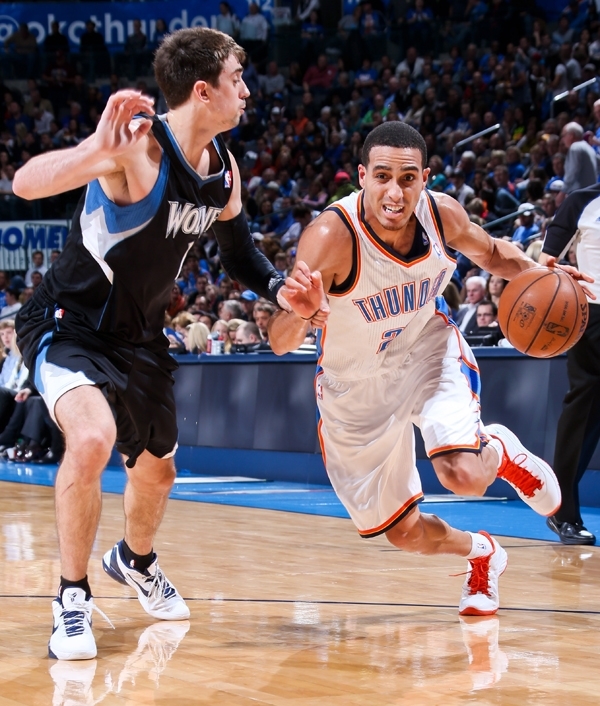 The dribble and drive ability of Jackson would open up even more with Dunleavy and Kevin Martin on the floor together. Why New Orleans makes the deal – With Ryan Anderson, Anthony Davis, and Robin Lopez on the front line, Aminu becomes the odd man out. His inconsistent play has been a source of ire from the Hornet’s fan base. A veteran point guard would help this young roster out and an extra first rounder will help in the Hornet’s rebuilding process. 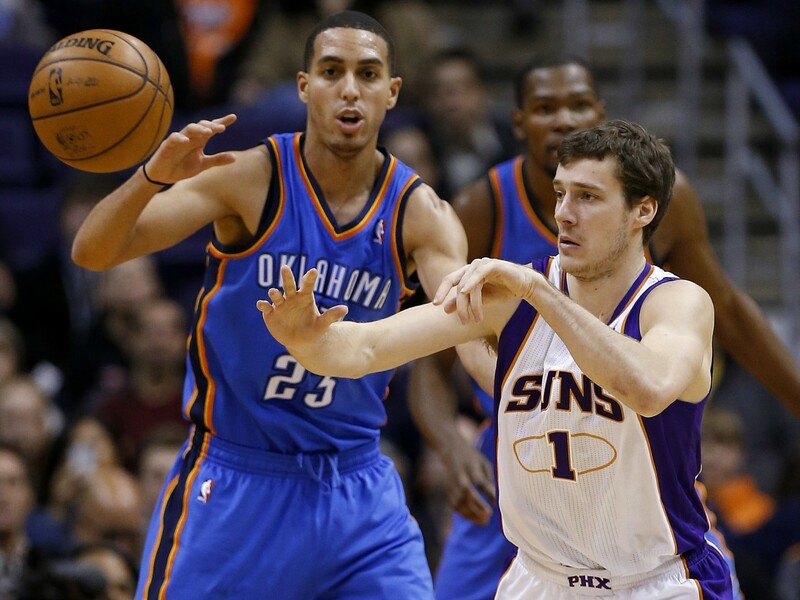 Why Oklahoma City makes the deal – Aminu is exactly the type of player that the Thunder covet. A 3/4 tweener with possible upside and a long wingspan (7’3!!). In the right system, he could be a valuable contributor off the bench. Phoenix gets Eric Maynor, Daniel Orton, the right to swap either of their lottery picks (theirs or the Lakers’) lottery picks if it benefits the Suns, and the Thunder’s 2013 pick. Why Phoenix makes the deal – Let’s face it. 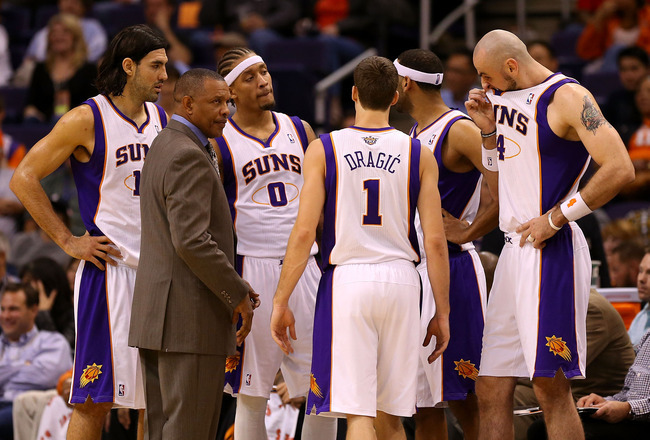 Phoenix is rebuilding and is not interested in long-term role player contracts. 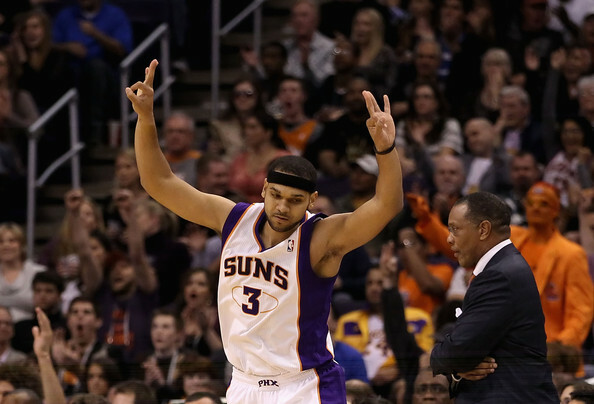 Dudley still has 2 years at $4.25 million guaranteed after this season, plus a player option for the same amount. Phoenix could flip Dudley for a young center, a possible better lottery pick, and a late first rounder. 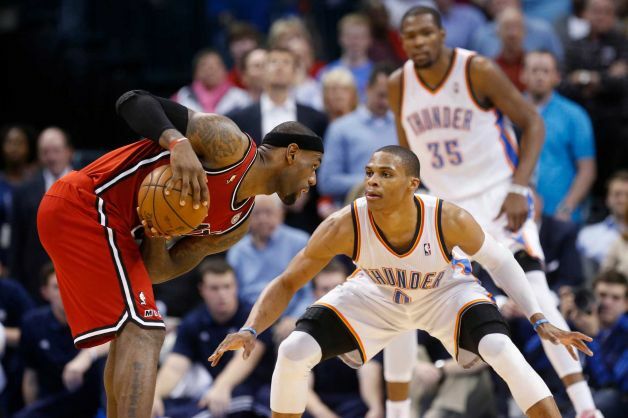 Why Oklahoma City makes the deal – The Thunder get a great role player with a good contract for the next 2-3 seasons. Plus, a player like Dudley has value and can possibly be flipped for other assets. 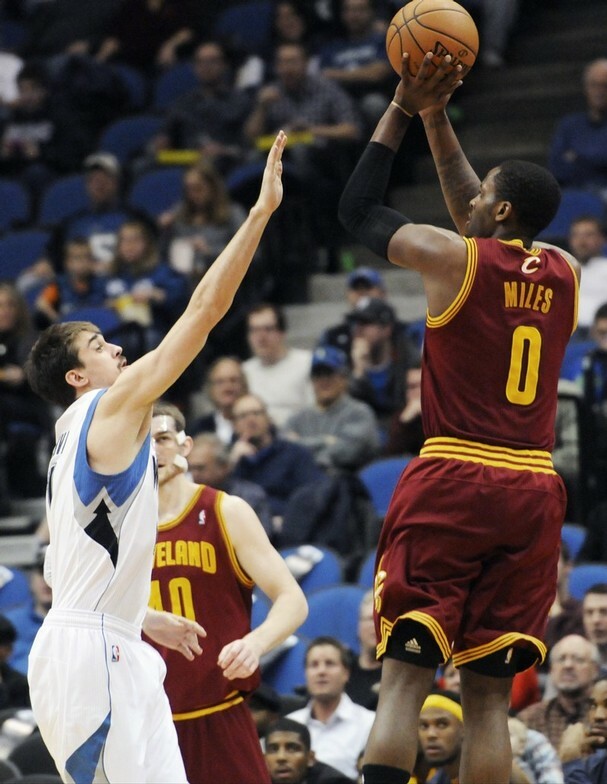 Cleveland gets Eric Maynor and Dallas top 20 protected pick. 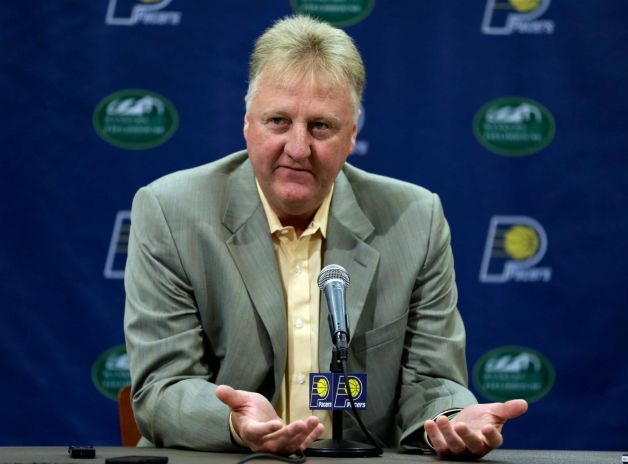 Why Cleveland makes the deal – It isn’t the Anderson Varejao deal, but Cleveland still gets a future first rounder for a role player that’s a free agent after this season. Plus, Maynor could dispense some veteran wisdom onto Kyrie Irving. Why Oklahoma City makes the deal – The Thunder get a good role player that can shoot and stretch the floor. Plus, they don’t give up much. As a fan, I would hate to see Maynor go. He’s grown with this team and was a big part of its development. But, as we’ve seen with the Jeff Green and Harden trades, it is also a business in which every team is trying their hardest to get better. If a move can be made, and it is advantageous to the team, then it’s a deal that must be made. When the inevitable happens, I wish Maynor nothing but the best. He’s been a consummate professional and has a long career ahead of him.